Are you ready to take the Superglass challenge? We will value engineer your specifications, helping to reduce installation costs on all types of commercial and domestic builds. Send us your house types, drawings and specifications and we will do the rest. We can offer glass wool alternatives to rock wool & PIR/PUR. All our products are made from up to 84% recycled consumer glass, which would otherwise go to landfill. 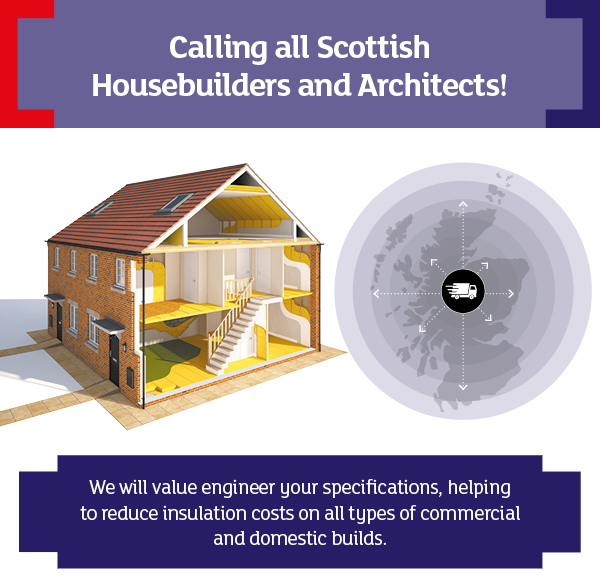 It’s good business for Scotland, it’s good for the environment and if you are looking for a local insulation partner who can help you work smarter; it could be good for you too.